Handmade from recycled copper sheet. Some have a patina or marks, but even with extensive sanding/polishing done, they remain, but thats because theyre a recycled metal. A lacquer applied to prevent oxidation. 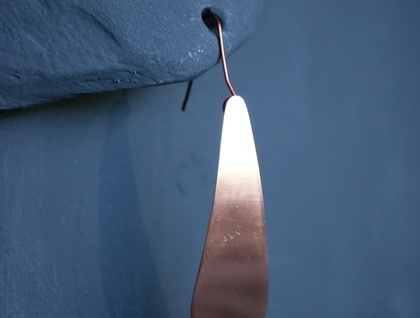 Finished with handmade recycled coated copper wire hooks. 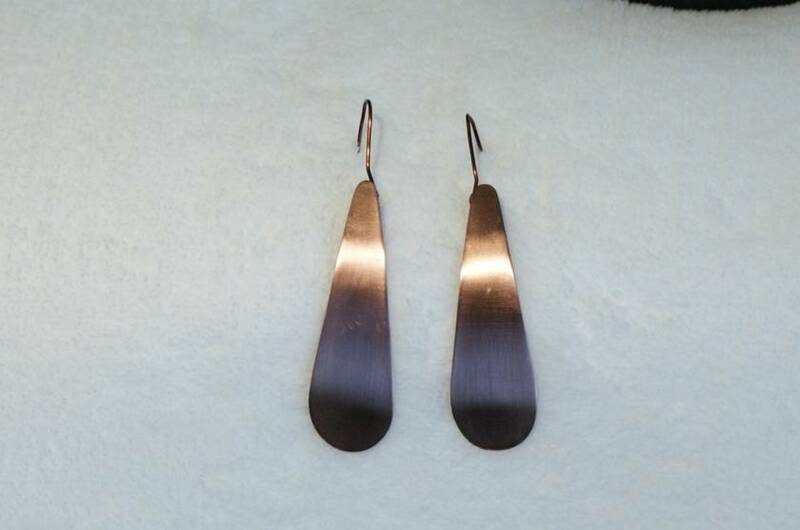 (If a sterling silver hook is preferred, please say so in the comments section). 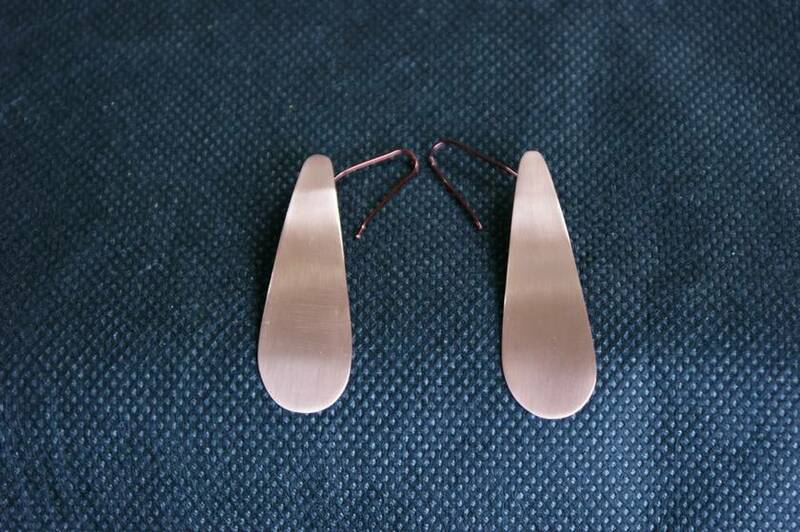 The copper earring body is 5.5cm long. Contact cobredera to enquire about payment or shipping options.